Did someone say Purple Crush? We sure did! The 19' Purple Crush Water Slide is your ticket to a fabulous time at your next party! Climb 19 feet to the top and view the inflatable palms, beautifully bright colors, and water below you before plummeting into a large wading pool at the bottom. 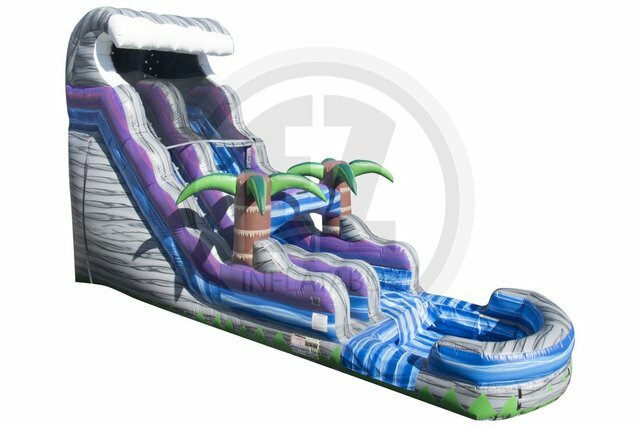 This water slide is perfect for any themed party, or ANY party! Reserve yours today!